First blade I’ve made of this design. 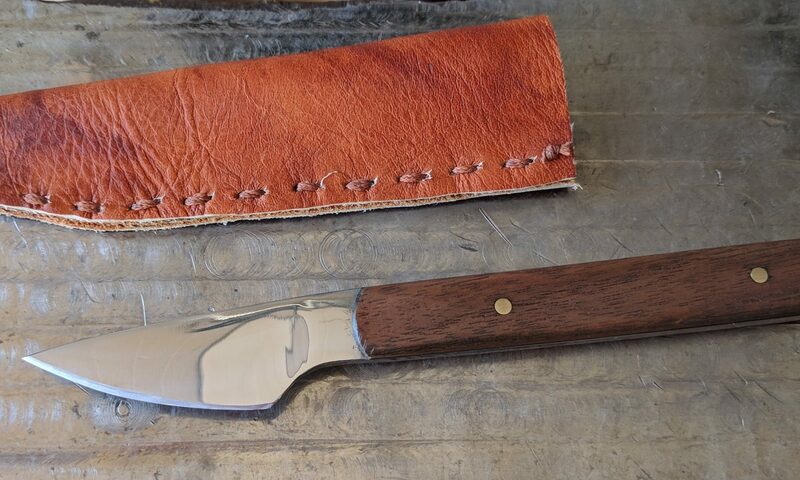 Forged from a ~4″ section of coil spring into a ~7″ long blade (total length). Used black walnut (sealed with clear shellac) for the handle material and performed a differential temper. Buffed to a mirror finish and then sharpened. 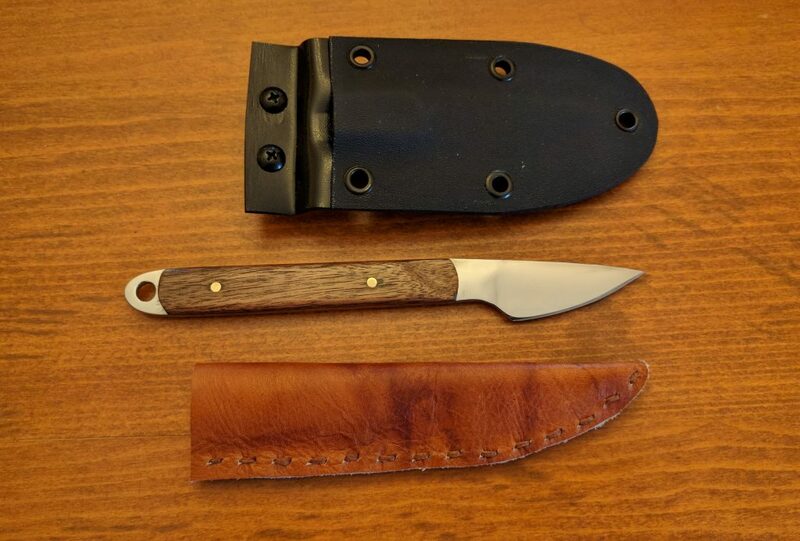 I also made both a leather and kydex sheath (my first use of kydex) for this one. Kydex has a belt clip attached to it (blade tilted slightly to make it easier to remove from the sheath). 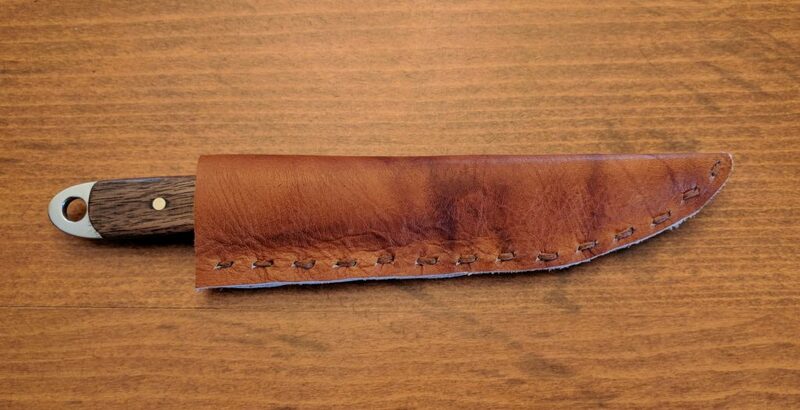 Leather sheath is designed more for use in a pocket, or perhaps in a pack. 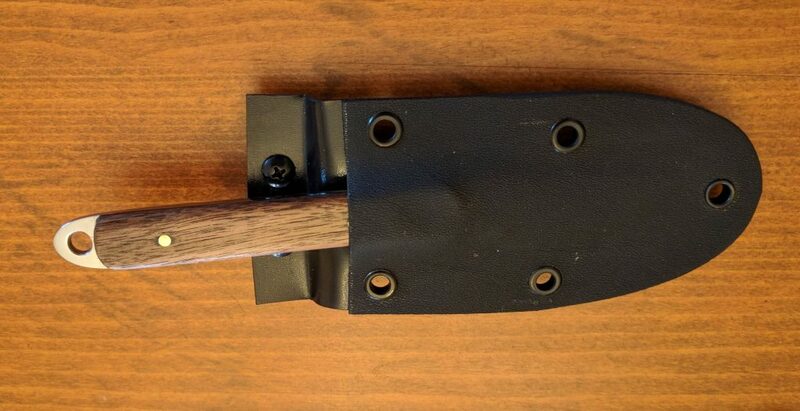 Handle started off as ~1/8″ thick pieces that were epoxied to the tang and then sanded into shape. I also put a finger gully on one side (right side when holding the blade) to allow for a better grip position. Lanyard hole is 1/4″ diameter, with the tang being approximately 1/2″ tall. I’ll be using a section of paracord for the lanyard at some point. I also plan to make a trip to Tandy Leather sometime in the next week or two. Once there, I’ll probably pick up some rawhide to use for lanyards as well.